Let me ask you a question – do you think trains and freshest possible seafood have anything to do together? Here is another question – thinking about train station, what kind of food would you expect to find there? Does the word “gourmet” easily associates with the train station? Of course I’m not talking about an average train station in the town with population of 10,000. The tricky part of my question is that we are talking about New York, and the train station is the famous, beautiful Grand Central Terminal. Still, let’s say if you are visiting New York, how many of you would set the restaurant at the train station as your desired dinner destination? Well, if you like seafood, especially if you like oysters, Grand Central Terminal might be a very wise choice, as since 1913 (!) it houses, on the lower level of the station, one of the best if not the very best seafood restaurant in New York, called Oyster Bar and Restaurant. 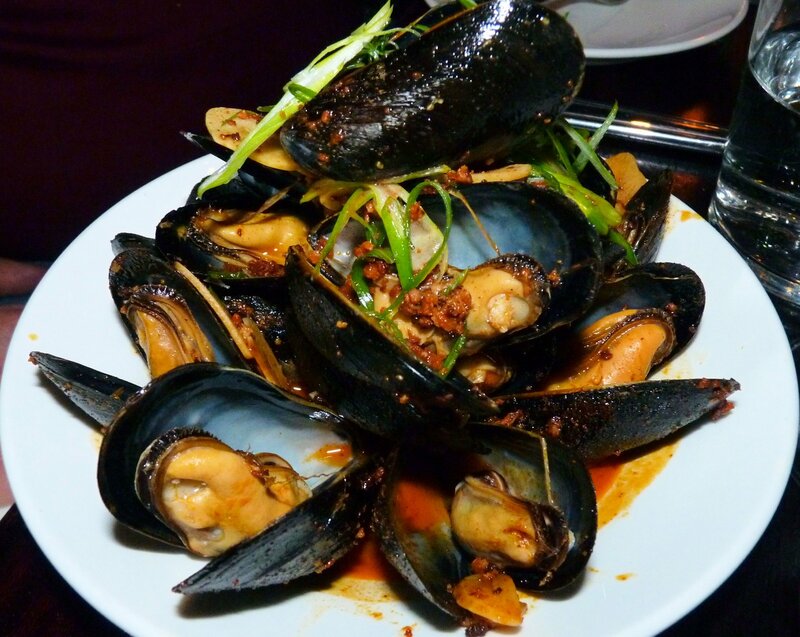 Oysters, fish, lobsters and more – whatever your seafood lover’s heart desires. And don’t forget the soups! New England Clam Chowder at Oyster Bar is my perennial favorite. One of the very best and very consistent. As Grand Central Terminal generally is my link to New York, from time to time, I like to stop by the Oyster Bar for a quick bite to eat – at $6.95, the bowl of clam chowder is literally the best value one can get in New York – definitely beats any deli. As we were planning for the oysters to be the main dish, the appropriate wine was in order. 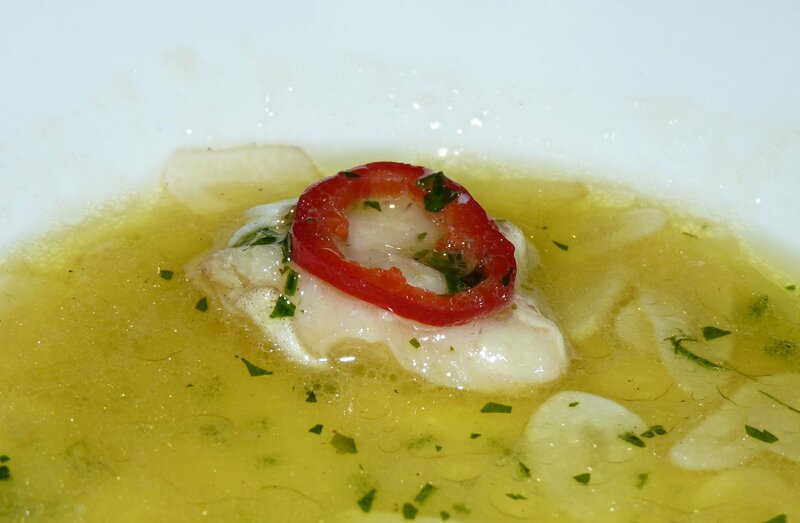 One of the traditional choices for the seafood wine is Muscadet-Sèvre et Maine, with its steely acidity. But that is exactly the point – this is a very standard and traditional choice, and we wanted to try something new and different. Conveniently, wine list at Oyster Bar listed few very nontraditional wines as the winners of the popular choice as oyster’s accompaniment in the section called “Oyster Wine Pairing Champions 2014”. 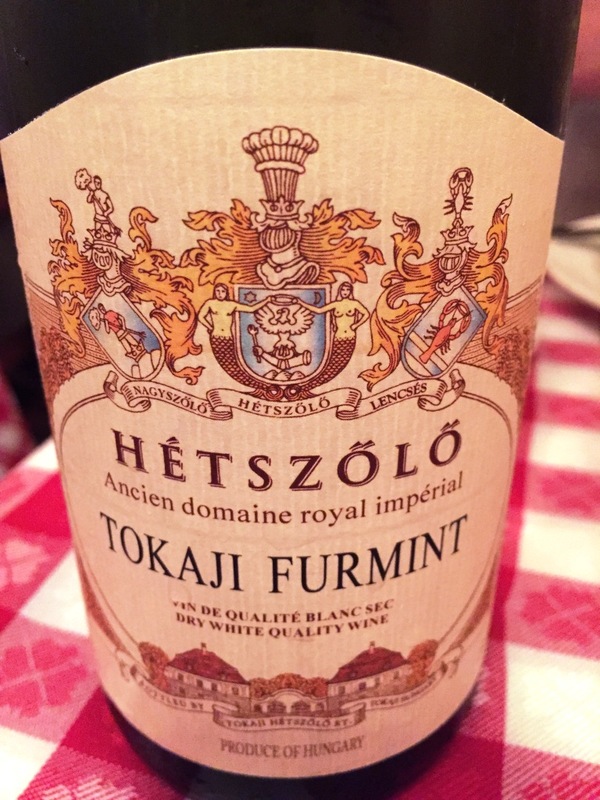 One of those wines was 2011 Hétszölö Tokaji Dry Furmint from Hungary, which we decided on. This happened to be a great choice, as wine showed not only acidity, but also a wonderful salinity (I can only guess – attributed to the volcanic soils in the vineyard), all together making it practically an ideal pairing for the various oysters. And then, of course, there were oysters. 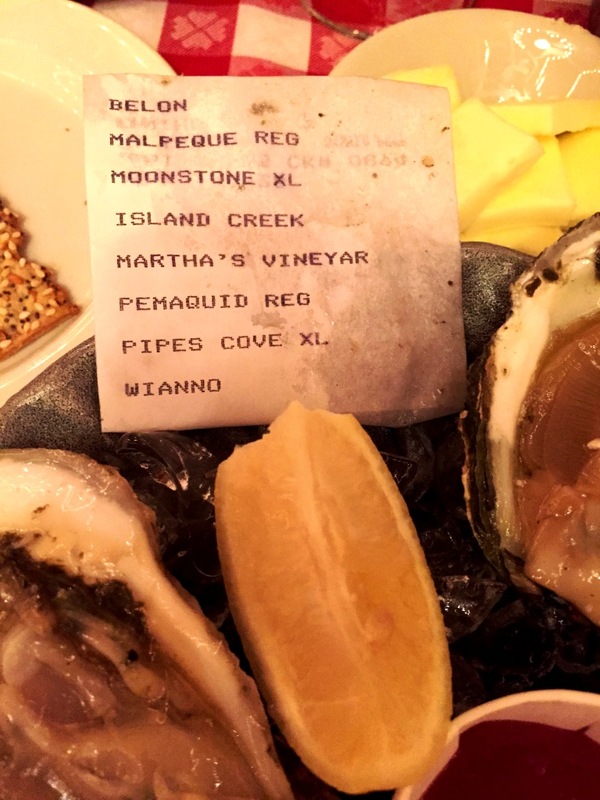 There is not a lot I can tell you about them, except that the selection included 8 different oysters (you can see the list in the picture above), which were one better than the other, both in the taste and in ability to support the conversation. 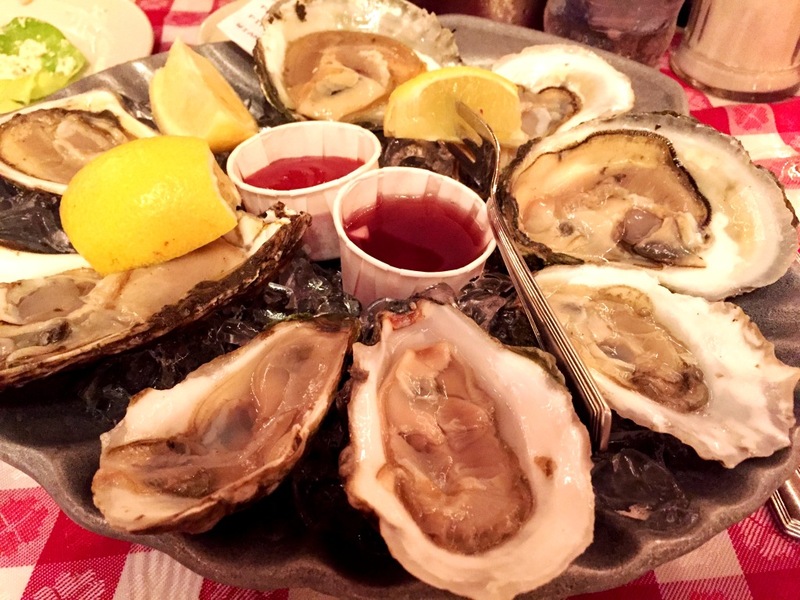 There you have it, my friends – now you know about one of the best seafood destinations in New York – lunch, dinner or a quick bite on the way – Oyster bar will serve you well. 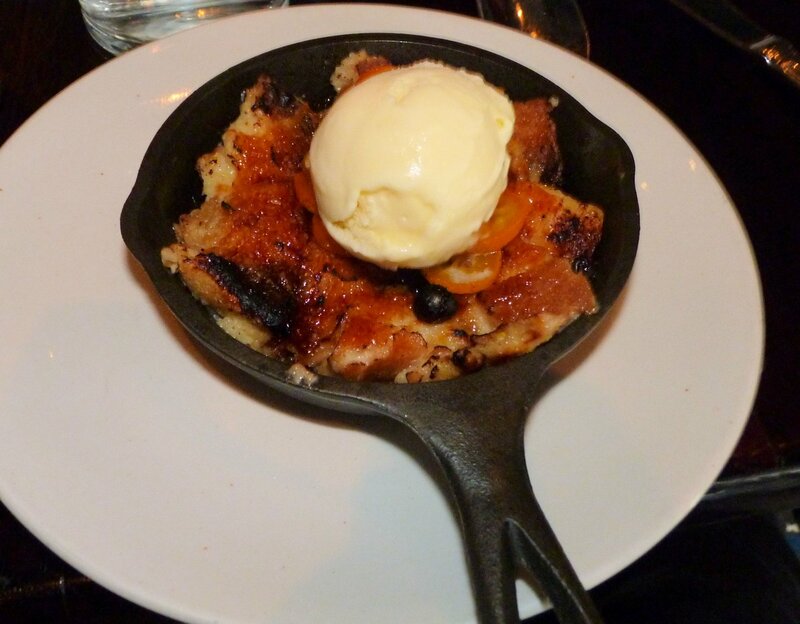 Oh yes – and reservation is highly recommended if you plan on dinner. 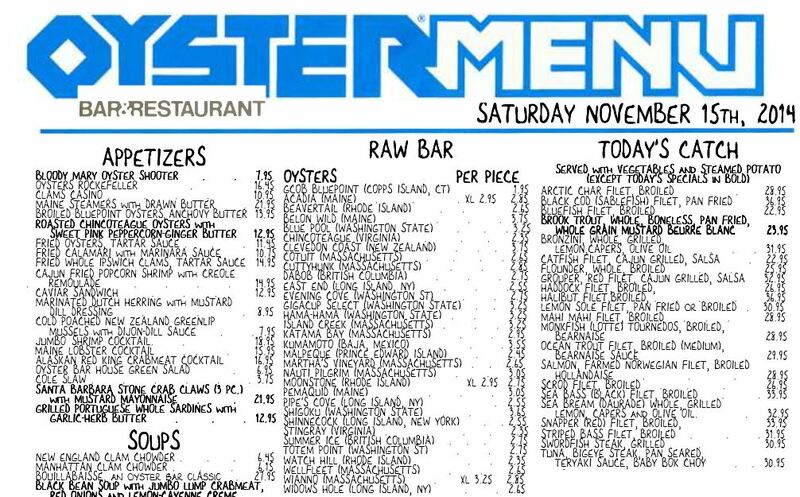 Did you know about Oyster Bar before? Have you ever been there? If you have, what do you think? Cheers! 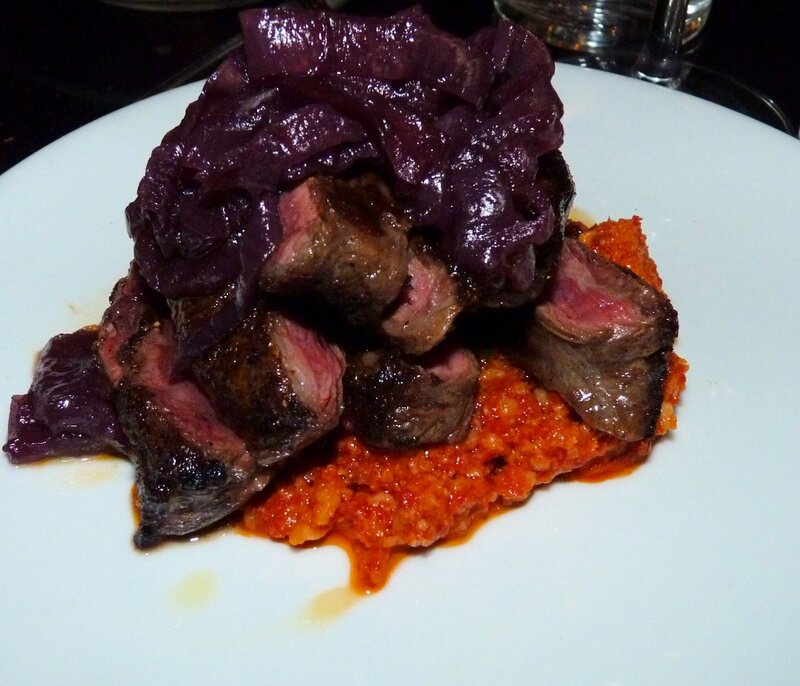 I always admired Mario Batali as an Iron Chef, and after visiting his flagship restaurant, Babbo in New York City, I fell in love with his cooking (tasting menu at Babbo is probably one of my biggest ever epicurean highlights). Thus when we decided to stop by Casa Mono for lunch after attending Michael Skurnik wine tasting (blog post to follow) in New York City, I was one happy camper. 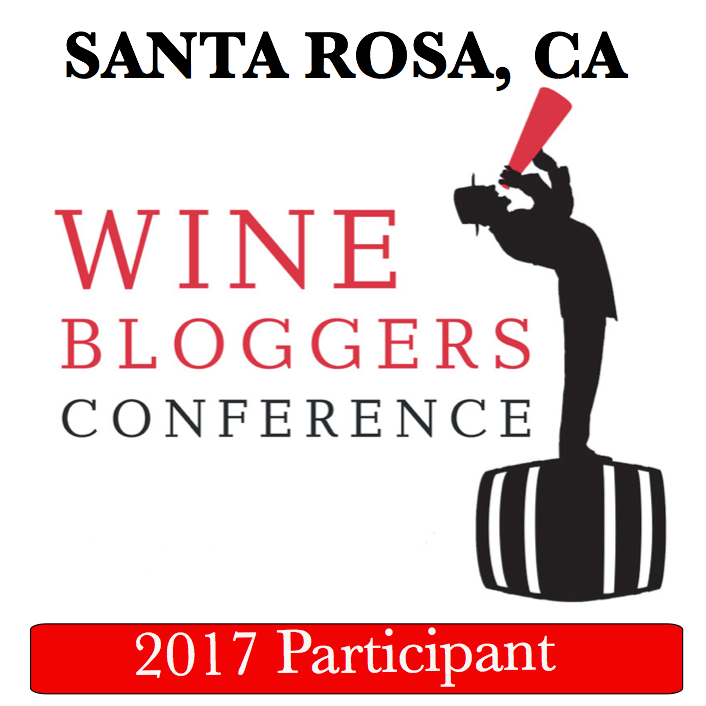 Never mind 100+ wines we tasted right before, we had to have some wine with lunch, right? Casa Mono sports an excellent wine list, focused on Spanish wines as one could anticipate. 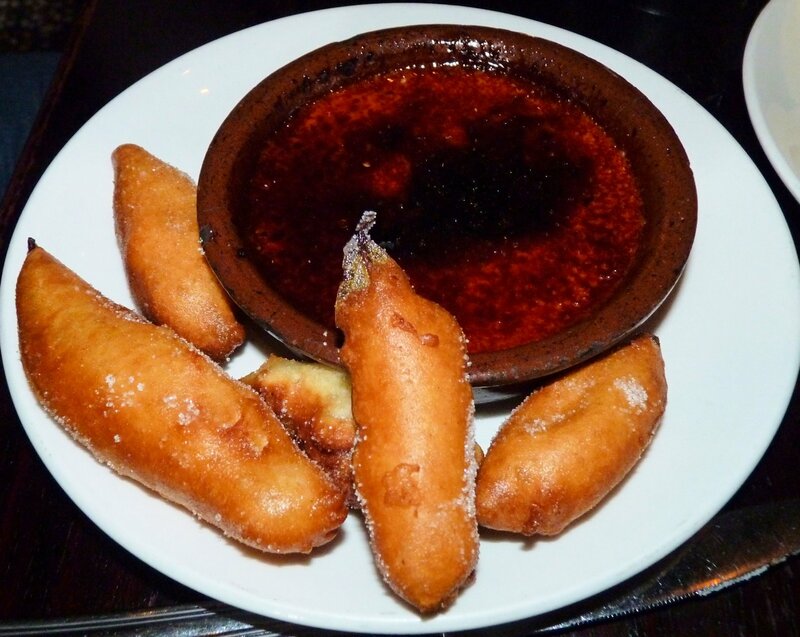 After tasting lots of young, big and dense red wines, we wanted to drink wine which would be easy enough to drink, but still the one which would complement the variety of Tapas offerings. 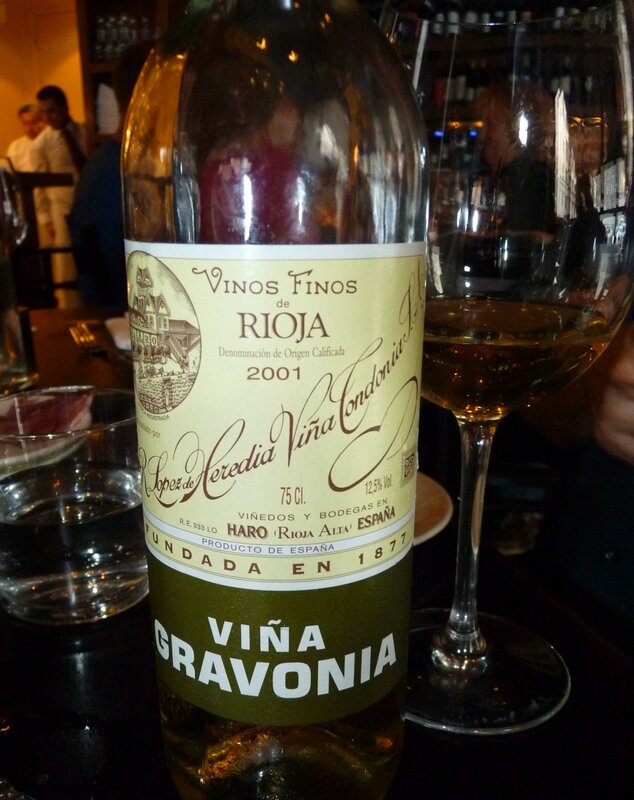 Our choice was 2001 Lopez de Heredia Vina Gravonia, a white Rioja wine. 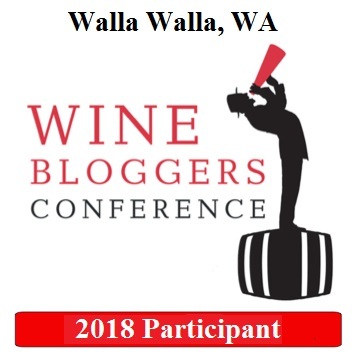 Rioja wines are some of my favorite overall, but additionally, I think white Rioja is some of the most amazing white wines when it comes to aging – I had 18 years old Vina Gravona which was fresh and beautiful (you can find notes here). This 11 years old wine, 2001 Vina Gravonia, was just perfect – medium body, good acidity and minerality, good amount of fruit without being fruit forward, with hints of eucalyptus and anise. Very well rounded wine which paired perfectly with variety of the tapas dishes we had. So for the food, as usual, it would be mostly a photo report. We were absolutely delighted with all of our choices, so without long overdue, here is the happy report. 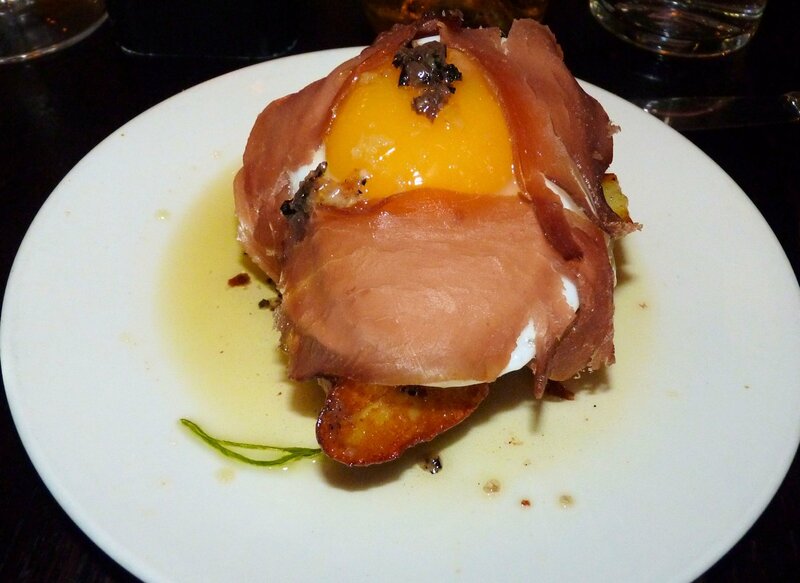 Duck Egg with Moyama was one of the first tapas to arrive. Chicken eggs are boring – this is what I want for my breakfast! 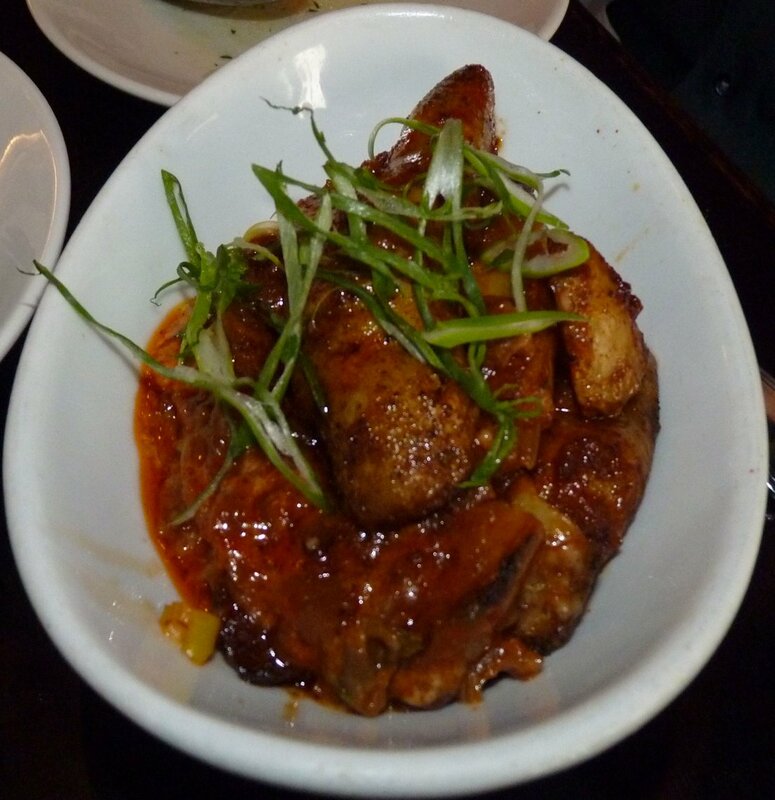 Cod Cheeks Pil Pil with Pickled Chiles – I almost forgot to take a picture. The texture and flavor profile of this dish – with garlic, savory broth and chiles, it was “more bread, please” kind of dish – not a drop of that delicious liquid can be lost! 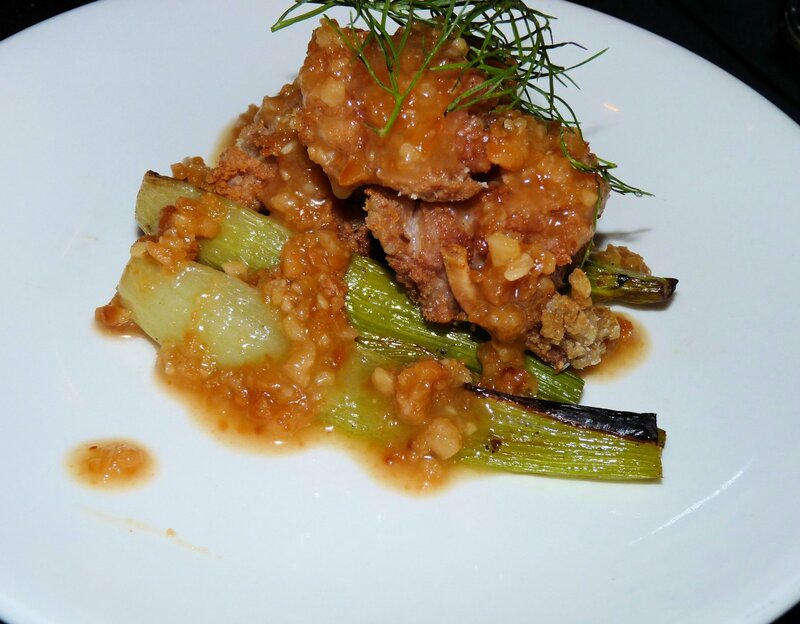 This was a great food experience, and I can only conclude with the words of the Iron Chef show host – Thank you for the wonderful meal, Chef Mario Batali!